At the 2012 London Olympics, the men’s judo team from Japan did not win a single gold medal. Of the seven weight classes, the Japanese took two silver and two bronze medals in arguably their worst showing since judo premiered at the 1964 Tokyo Olympics. At the 2016 Rio Olympics, the men’s judo team from Japan won two golds, and equally important, scored a medal in each of the 7 weight classes. The last time Japan medaled in all classes? 1964. 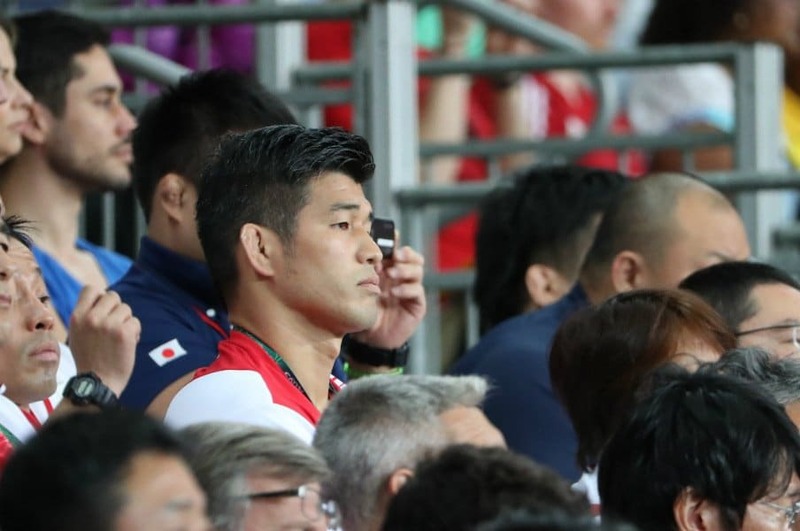 If this is the return to the glory years for Japan, just in time for the pressure to really build for Japanese athletes at the Tokyo2020 Games, then the men’s judo coach, Kosei Inoue, deserves top judo kudos. Inoue, gold medalist in 100kg weight class at the Sydney Games, was at those 2012 Games as an assistant coach, and he observed a judo team in chaos, according to this Gendai Business article (in Japanese). Judoka were confused as the team of coaches were not specifically assigned to weight classes, so the judoka were uncertain whose coaching they should follow. Judoka were bullied excessively. Injured judoka were threatened with being dropped from the team. As a result of that and particularly the results in London, the coach was fired, and Inoue was asked to take over the team. According to various sources, Inoue brought a winning mindset to the men’s judo team, focused the coaching on technique and playing to the strengths of each judoka, improving judoka’s strength, showing them to think outside of the Japan box, and emphasizing open communication between coaches and judoka. According to a story on the television news program, Bankisha! (バンキシャ！), during the Rio Olympics, Inoue realized that while technique is important, foreigners did tend to be physically stronger, particularly in the heavier weight classes. Inoue ensured that his judoka were also improving their overall strength so that they would not be wrestled out of competitions. Inoue also thought that the way non-Japanese fought in the judo dojo was important to understand. He thought it was important that his team know that the Russians developed their techniques from Sambo, a Russian wrestling sport, and that Brazilians developed their s from jiu-jitsu. Inoue may have gained this insight thanks to the Japan Olympic Committee, which selected Inoue to live in the UK, learn English, see how Europeans train in judo. Perhaps the JOC saw the coaching potential in Inoue, and believed the international experience would be of benefit. Inoue spent two years in the UK, including time in Edinburgh, Scotland with George Kerr, the president of the British Judo Association, and London, teaching at the famed Budokwai. 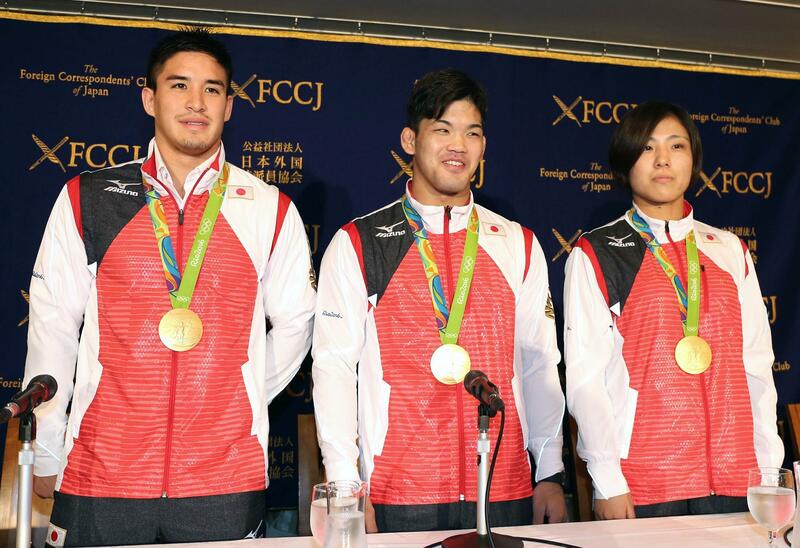 Inoue even sent his judoka, Ryunosuke Haga and Masashi Ebinuma, to train overseas on their own, to build their self-reliance and mental toughness, and they both secured bronze medals for Japan. Inoue was shaping into the ideal coach for Japan’s national team. He knew what it was to be a champion in Sydney. He knew what it was like to be humbled in Athens, when he didn’t medal. He realized that the world offered a treasure trove of lessons that would benefit his team. And he made sure that communication was not a barrier. According to The Japan News, he wanted not only to be able to easily and openly share his thoughts, but also have his team share their learnings with each other. My assumption: the Japan Olympic Committee will continue to place its trust in Inoue, on the road to Tokyo 2020. Posted in Japan, Judo, Other Olympics, Others, Tokyo 2020 and tagged 1964 Tokyo Olympics, 2012 London Olympics, 2016 Rio Olympics, Bankisha, Budokwai, George Kerr, Haruka Tachimoto, Japan Times, Judo, Kosei Inoue, Masashi Ebinuma, Mashu Baker, Ryunosuke Haga, Shohei Ono, Tokyo 2020. Bookmark the permalink.